Stressed assets are getting increased attention in the banking sector as the trend of deteriorating asset quality has emerged as a big economic risk. Assets of the banking system comprises of loans given and investment (in bonds) made by banks. Quality of the asset indicates how much of the loans taken by the borrowers are repaid in the form of interests and principal. The most important scale of asset quality is Non Performing Assets (NPA). An NPA means interest or principal is not repaid by the borrower during a specified time period. To address the recurring issues of NPAs in the banking sector, stringent laws to take care of defaulters in a time bound manner has been introduced. The Insolvency and Bankruptcy code has been set up to bring down the negative perceptions of Loan and Litigations associated with India. 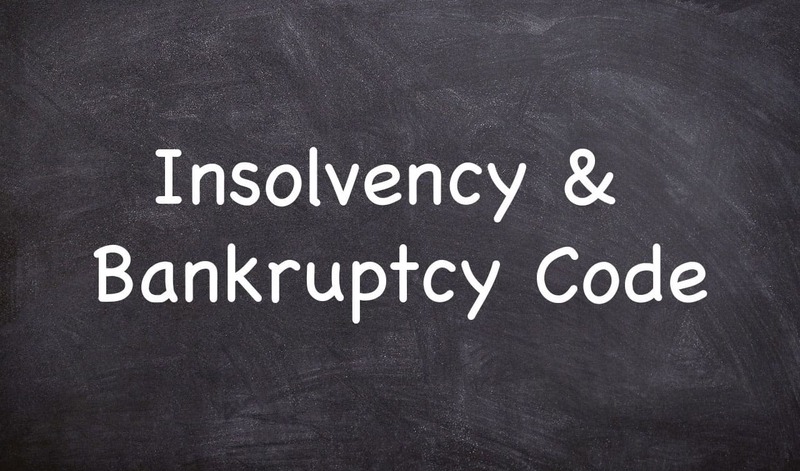 The key features of insolvency regulators, Adjudicating Authority, Moratorium, Corporate Liquidation, Liquidation Estate, Cross Border Insolvency, NCLT, NCLAT and its powers. This module helps the learners understand the under mentioned features. The latest developments in the IBC and its relevance have been included to ensure that the learning is contemporary. The certificate course on stressed Asset Management and Insolvency and Bankruptcy code is the most updated and advanced course available online for banking professionals. Some of the assets of a borrower may become stressed due to the inability of the borrower to replay his loans. The banks face a huge problem when the NPAs keep mounting. It is imperative that banks convert their NPAs into performing Assets or work on recovery of the same. But bankers need to understand the process of liquidation and recovery. This course incorporates the latest provisions, procedures for recovery of NPAs and the liquidation process for a corporate, LLP or any Asset that has gone bankrupt. Huge demand for qualified Liquidation stressed Asset professionals in the commercials banks. Who should enrol into the course ? What are the modules covered in the course in Stressed Aset Management and IBC ? Acceptance by the industry that a certified Stressed Asset and IBC professional from CART has qualified under the best training environment. Better employability for the successfully passed out candidate. The duration of the course is 2months. It is a self-paced learning course, it can be completed within 2 months and If the candidate desires to complete it sooner, he/she can complete it as soon as their course progress is 100% and final evaluation is successful. The final evaluation can be given even after 1 week from the date of enrolment. What is the fees for the Certificate Course in Retail Credit ? What are the modes of payment accepted for enrolling to CCCM? Cheque Payments: Cheque payments have to be made in favor of CARE Advisory Research & Training Ltd. Contact us for further details. Branch: Sion East - Sion Circle Branch Address: Rupam Centre, Cine Planet, Sion Circle, Sion (E), Mumbai- 400022. How do I start my Course once I have successfully enrolled to Certificate Stressed Asset and IBC? Certificate Course in Stressed Asset and Insolvency and Bankruptcy code is offered as a self-paced online learning course. Once enrolled, the candidate can visit www.care-trainings.com and login using their email and password, then click on My Courses and View Course button to start the Course. The Course comprises of 5 modules. Modules consist of Reading Material, power point Presentation, Video Lecture and practise test. Trainees must refer to all the content within maximum period of 2 months from the date of enrollment. How do I achieve 100% course progress? For achieving 100% course progress, candidates are required to refer all the content. For Reading Material and Presentations, candidates have to click YES at the bottom of the screen after reviewing them. For Video Lectures, candidates need to view the entire videos to complete the progress. For Assignments, candidates need to attempt all the questions to complete the progress. Once the above is completed, the course progress will be 100% and the candidate will be eligible for the Exam provided one month has passed from the date of enrollment. Assignments are basically practise tests at the end of three modules in stressed Asset and at the end of two Modules in IBC . These assignments are aimed at helping the candidates to self assess their understanding of the modules. It also helps prepare for the Final Evaluation Exam. What are the details of the final evaluation and the required passing marks? Mode: Final Evaluation will be held Online. How do I become eligible for the Final Evaluation Exam? Do I need to schedule my Exam? Candidates who have completed one month from the date of enrollment and have made 100% progress in their course will be automatically eligible for the exam. The link for the exam will appear in the Main menu. It can be attempted anytime within 1 week the date of Enrollment. There is no need for scheduling the exam. To reset the password, candidates must go to www.care-trainings.com and click on Login link and then click on Forgot Password link. This will redirect the candidate to Reset Password screen. Here the candidate must enter their registered email address to receive a password reset link. Clicking on this link (received via email) the candidate will be able to choose a new password. How do I find out my Course Progress? The course name and the course progress percentage can be seen when a candidate logs in and clicks on My Courses. If I have any technical queries, whom should I contact? If I have any academic queries, whom should I contact? Candidates may raise a query after logging into www.care-trainings.com from the Queries section. Can I use any web browser to access the course? The course can be accessed using the most commonly used Internet browsers, like Google Chrome, Mozilla Firefox, Safari or Internet Explorer Versions 10, and 11. Can I access my course from my smartphone or tablet? Yes, candidates can access the course using any modern smartphone or tablet. After completing the Final Evaluation Exam, when will I be able to view my results? Candidates will be able to see their results immediately on completion of the Final Evaluation Exam. After successfully passing my Final Evaluation exam, when will I receive my Certificate? The Certificate will be issued immediately (in PDF format) on successful completion of the Final Evaluation Exam. The Certificate will also be sent via email to the registered email address within 24 hours. If I fail in my first attempt at the Final Evaluation exam, how do I give the re-exam? Will my employer/ HR department be informed of my results? If the candidate is sponsored by a company, the results may be shared with their employer / HR Department. To avail a discount offered to your Company/Institute, you can email a scanned copy of your Company/Institute ID to support@care-trainings.com.